As the weather keeps improving and giving us those wondrous sunny days, my mind flicks back to being pregnant in the summer of ’98. I was so hot. My third baby was growing inside me and I could hardly bear to leave the house. I spent a lot of time, when out, in the chiller aisle of Marks and Spencers. The security guard eventually realised that the only reason I was there, was to get cool. I spent three summers pregnant. No, not for the above pregnancy. My first three babies were born Winter, Autumn and late Summer. I don’t think that I was able to drink enough water, carrying those babies was hot work. There was many a day, particularly with my third, where I just didn’t leave the house. It was much cooler than anywhere. I would get as far as the end of the drive and turn back, hot and exhausted. Not my most sociable time. I do remember a time with my first when I was away with a group of people and my belly was on proud display. The sun was beaming down, my skirt was long and floaty and my top was short. I pulled the band of the skirt to below my belly to allow it to get some sun and air. I’ll never forget the barrage of negative comments that flowed. It’s amazing how disparaging the phrase ‘You’re clearly loving being pregnant’ can be. Another time I was out with a friend and wearing a gorgeous, long, fitted dress. It accentuated my pregnant belly so well. I loved that dress. It also had a beautiful ‘hole’ in the back. I was told that I looked disgusting. As a woman comes into her pregnant glory, why on earth do people feel the need to ‘shame’ her? 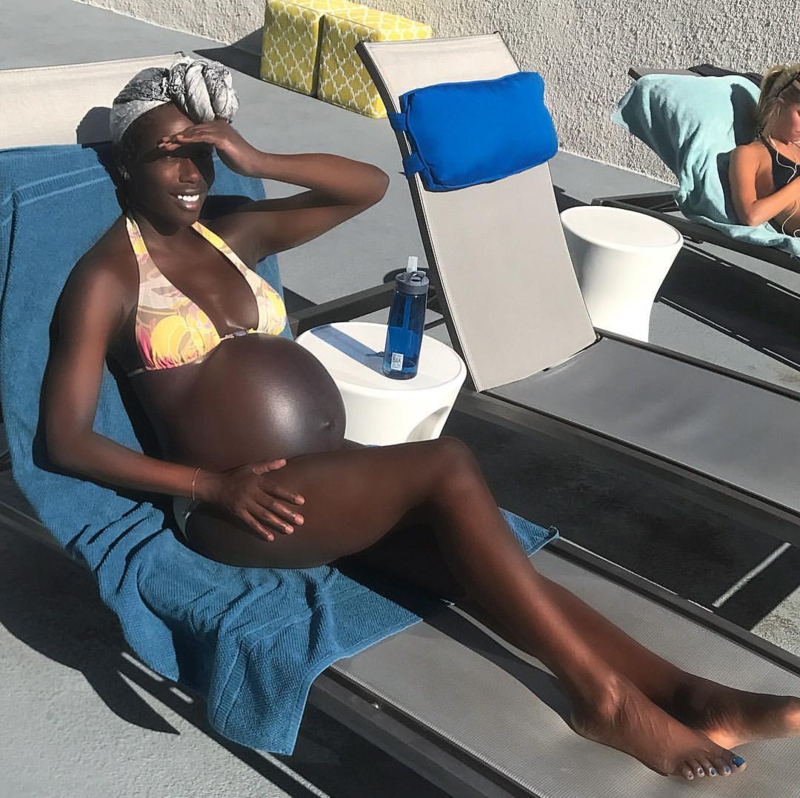 I recently read Porsche Thomas’ piece in the Huffington Post and it took me flooding back to my first pregnancy, when I was so so proud of my beautiful bump. More recently I have read the comments about Serena Williams and her Vanity Fair pregnancy shoot. She’s never looked more glorious. And of course the negative comments underneath different articles, below Facebook posts do not surprise me. As Harling Ross says in her article Serena is “a black woman with a politicized body and personality existing under an international microscope”. Black women’s bodies, fetishised, demonised, sexualised, shamed and exploited, it’s small wonder that so many black women hide them away, unable to talk about them. It is a passion of mine to change the imagery of birth and to celebrate the beauty of the black body, especially the pregnant black body. Both Porsche and Serena looked so glorious, and I’m reasonably sure that I did too.